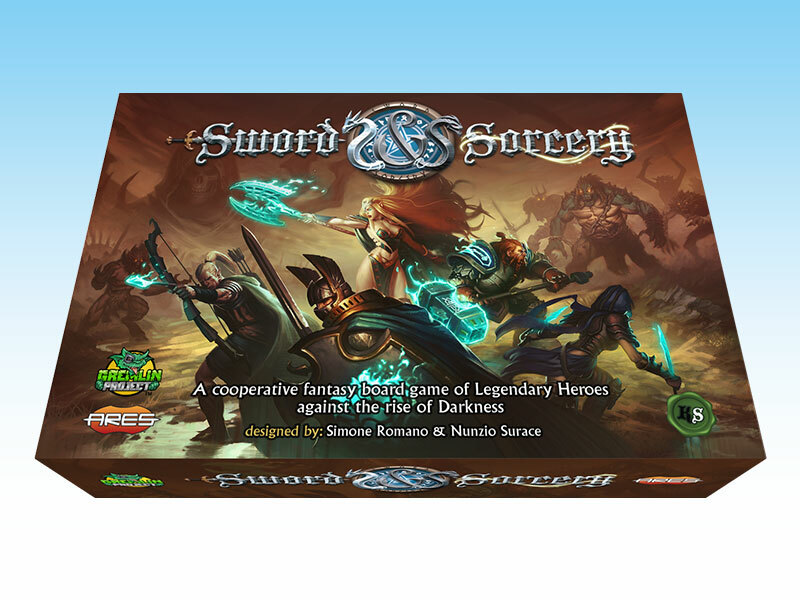 Home » News » Announcements » Sword & Sorcery on Kickstarter – Campaign Video, Pledge Levels and Rewards Unveiled! The Kickstarter project will present the pledge level “Legendary Hero”, for individuals, and “Emporium”, for retailers. For individuals, a Day 1 – Early Bird will be available during the first 24 hours after the project launches, with a 10% discount on the normal pledge amount. The retail edition of Sword and Sorcery will be stuffed with content, featuring 26 detailed 32mm miniatures, a rulebook, a storybook, 20 double-sided map tiles, 8 custom ten-sided dice, over 200 cards, and 100 tokens. The Kickstarter Edition will include extra content, designed to enhance the gaming experience and make the backers’ copy a special limited edition item, including an enlarged box with dedicated artwork, customized critical hits bag, card deck holder, deluxe hero sheets, and additional miniatures (the Standard Bearer/Warlord hero, the Undead Lord Master Enemy, and a troop of Rising Skeletons). The Kickstarter Edition will be further improved with additional items, depending on the stretch goals achieved as the project develops. Sword and Sorcery, a new epic-fantasy cooperative board game. The shipment of the rewards will not have custom charges within the United States and European Union. Sword and Sorcery is developed by Gremlin Project, by the same team who created Galaxy Defenders, to be published by Ares Games. Heroes with unique powers are called back from death to save the kingdom and break the spell that binds their souls. One to five players fight together against the forces of evil, controlled by the game system itself. 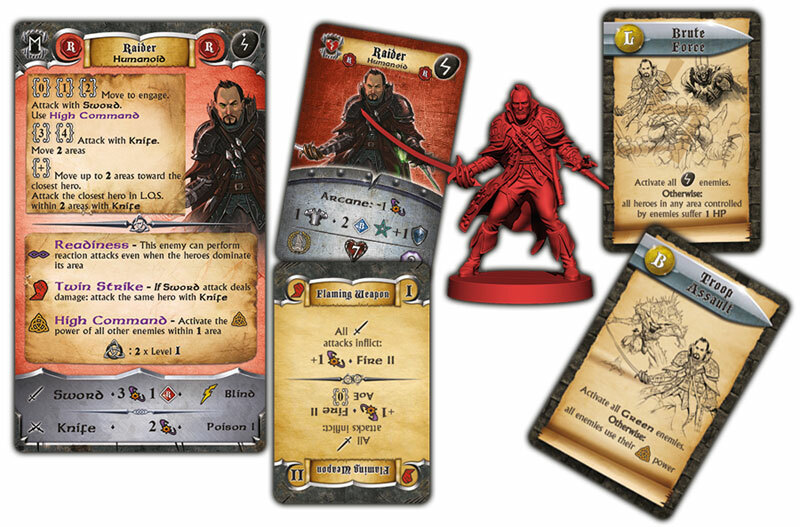 The game combines rich gameplay, unique A.I system, and excellent quality physical components, to offer the best fantasy board game experience to all players, bringing the next evolution in team-based fantasy gaming. 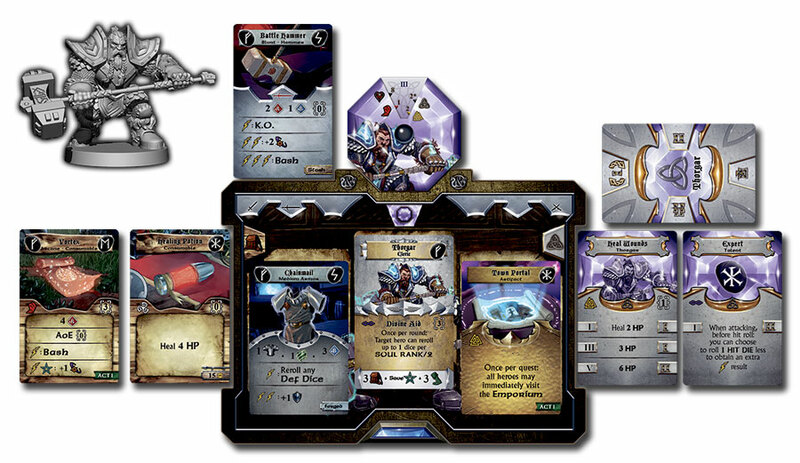 Miniature, hero sheet, a soul gem, and power and equipment cards represent the heroes in the game. 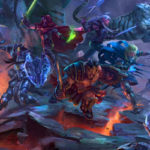 Sword and Sorcery will feature ultra-detailed 32mm scale figures and modular boards, Solo Play, high character customization, sophisticated combat and magic system, and quests designed to be completed in about 90 minutes or less. An innovative A.I. system allow control and management of enemies by the players, giving them intelligent behavior and creating interesting battles every time, with no Game Master required. Each player controls one or more heroes, legendary characters brought back to life by powerful sorcery. Weakened by the resurrection, they grow stronger during their story-driven quests. By acquiring soul points, players can regenerate the hero’s soul; returning them to legendary status with multiple powers, magic and soul weapons, and powerful artifacts. 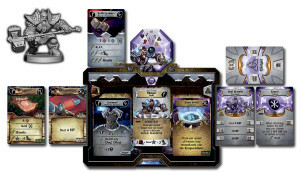 Each hero is represented by a miniature, a hero sheet, a soul gem, and a number of power and equipment cards. Each hero may have one of two different classes, representing parallel destinies of the character - the result of his or her choices in the past life. The hero sheet is two-sided, to show both options, and each class has unique hero cards to use. Heroes in Sword and Sorcery never die, and players are never out of the game. The heroes were raised once to face the Darkness, and if they die again, their soul will survive in ethereal form, until it can be reincarnated again, weakened but still ready to fight Evil. The forces of Evil are controlled by the A.I. system of the game. Each enemy has different fighting styles, multiple behaviors, weapons, and additional powers. Each enemy is described by a miniature, a tarot-sized Enemy scroll, and the Enemy card (to keep track of the defensive capabilities of the enemy, and the wounds on each figure). Enemy activation is determined by Encounter cards, drawn after each hero turn. Activation can be based on the fighting styles of the monsters, their rank or other specific conditions, making each turn unique and unpredictable. Sword and Sorcery will be launched on Kickstarter on October 15th, and is due to release in the second half of 2016. Players can already find a lot of information about the game: daily previews have been posted on its Facebook page since late July, presenting the characters and gameplay highlights. To learn more about Sword and Sorcery and get ready for the crowdfunding campaign, visit the website – http://www.sword-and-sorcery.com/ and follow the Sword & Sorcery Board Game Facebook page. Attendees of Spiel 2015, in Essen, are invited to see a playable demo of a prototype in the Ares Games’ booth – Hall 3, E-100.